We supply Driving Instructor Teaching Aids and ADI Part 3 Test training aids including visuals, briefings and lesson plans. Our Driving Instructor teaching aids are recommended for their clarity and used across the UK by PDIs, ADIs, Instructor Trainers and DVSA Examiners. For Part 3, Check Test and Teaching Real Learners! The improved Driving Instructor Teaching Aid is proving to be very popular with trainees, ADIs and instructor trainers alike! So much so that we had to order another print run, which should be with us around the end of April. 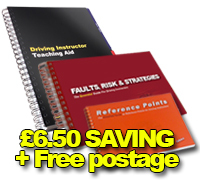 The updated Driving Instructor Teaching Aid is here! There has been a long delay due to some technical updates we have made to the book. We've also added sample questions throughout the book to encourage pupil reflection. We are pleased to announce that the new Core Comps reference manual (now called Faults, Risk & Strategies), is available at last!! It has taken us a lot longer to update the book for the modernised teaching style required by the DVSA, simply because of the amount of subjects that it's now possible to cover, and also, because we wanted to make sure the manual was clear and comprehensive. We are happy with the manual, which contains a clear guide to Risk Management and Teaching Strategies, as well as over 500 faults in the Pupil Fault Reference Tables - each of which has a pupil fault ID, pupil fault analysis / risk, and pupil correction strategy. We received many enquiries asking when the manual would be available again - many apologies for the delay! The DVSA has just announced that learner drivers will be allowed to drive on motorways with an ADI from June (predicted date is June 4th). They have also said that teaching aids should be updated to reflect the changes. The DITA Driving Instructor Teaching Aid was updated in September last year to allow for ALL the changes to the ADI test and learner driver test, including motorways. It has proved to be very popular and features a modular teaching system laid out in the same order as a pupil would learn. 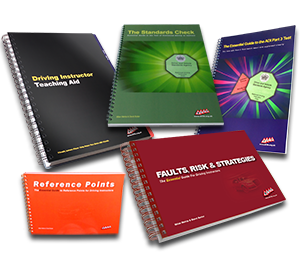 We are currently updating the Core Comps reference manual inline with ALL the changes to the ADI test and learner test. Hopefully it will be the most clear and comprehensive book covering pupil faults, remedies & strategies. We are putting it together using the same modular system as the DITA Driving Instructor Teaching Aid, which lays out all the subjects in the same order as a pupil would learn. We're predicting that the manual will be avaiable at some point in March! We are pleased to announce that the updated Reference Points manual for Driving Instructors has arrived! It has reference points from both driver and instructor seats, with helpful teaching notes and tips, so can be used throughout ADI Part 3 training as well as for teaching real learners. The new Essential Guide to the ADI Part 3 Test is here! The book takes the new competency based ADI Part 3 test apart and explains it clearly. The marking sheet, typical pupil scenarios for the test, how the examiner will be assessing the test, each core competency taken apart with explanation on how PDIs could get a high grade. 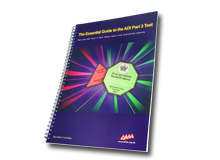 The Essential Guide to the NEW ADI Part 3 Test is coming soon - Should be available from 9th October. We've produced the book to give trainee driving instructors a clear but concise look at the updated ADI Part 3 Test. We've broken the test down using the ADI Part 3 marking sheet and the DVSA standards, to give a clear explanation of what's required in order to receive a high grade across the new, client centred; graded competency framework, introduced by the DVSA. The NEW Driving Instructor Teaching Aid is here! More visuals; more help notes; updated for the new ADI Part 3 Test; updated for the driving test changes in December! Clear, concise and easy to use as always! The DVSA has announced that the new ADI Part 3 test, which had a planned start date of October 2nd, has now been put back at least 21 days in order for the legislation to gain approval by Parliament. I'm pleased to announce that we are close to producing our updated Driving Instructor Teaching Aid - it has been 'future proofed' to fall inline with the big changes to the Part 3 Test on October 2nd, and also the driving test changes 0n December 4th. One of our best sellers, which is used across the UK by 1000's of ADIs and PDIs. We receive very good feedback about the book from instructors, and also DVSA examiners (they see lots of different teaching aids during the part 3 test). We've just ordered a new batch of the Core Competencies manual! Perfect for learning about virtually any mistake a pupil can make. 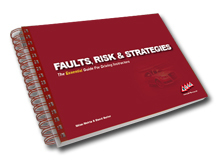 170 pages packed with advice for every level of driver. A 'must have' for explaing risk and improving teaching strategies. 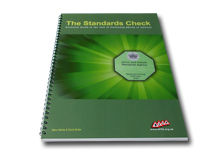 The ADI Standards Check book is now available. We have worked hard to make sure it explains clearly what is required of ADIs. It includes typical lessons scenarios, the marking sheet, a breakdown of all 17 competencies, the official DVSA Standards Check document plus how ADIs can integrate them into their own lessons so that the Standards Check becomes a formality. We are currently working on a clear and concise guide to the standards check, and are hoping it will be available within the next few weeks. Like all our teaching aids it uses easy to understand language to help explain what each competency requires. There is also an explanation of the test format, which includes a breakdown of the marking sheet. 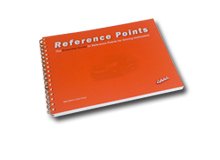 We are pleased to announce that the Reference Points manual for Driving Instructors has finally arrived! It's now available to buy and early feedback from PDIs has been good. The brand new reference points teaching aid is almost here! Just like all our teaching aids - it's clear, concise and easy to understand, and the perfect tool to help driving instructors teach learners to visualise and use reference points whilst positioning on the road or carrying out manoeuvres. The book is also great for PDIs learning the reference points and how to teach them to pupils (and ADI Examiners!). 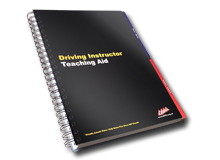 The updated edition of the Driving Instructor Teaching Aid is now available. There have been a couple of text changes intended to make teaching pupils even easier, and ensure that subjects are clear and easy to understand. We are currently working on a new driving instructor teaching aid that will help ADIs, PDIs and pupils. It's designed to enhance the PDI's knowledge and use of reference points, but will also be a very useful ADI tool for teaching real pupils and helping them to quickly understand where the reference points are. PDIs will be able to use it for training, the ADI Part 3 Test and then, like our popular Driving Instructor Teaching Aid, to teach real learners. The teaching aid should be available in February; keep an eye on the updates for more details. The 'Consequences' section will help with parts of the Risk Management aspect of the Standards Check. The Remedial Action section will help driving instructors to improve Teaching and Learning Strategies for learners. Hi, ordered and received the teaching aids - so happy with the layout and quality! Thank you for quick response that allowed me to collect the teaching aids today, having had a quick glance through them I can tell you I'm well pleased with my purchase. I've just got to say that I've been using the new teaching aid and it's the best one out there, it's absolutely brilliant! Most of them cover a few things that you want, but this has everything! I have passed my part-3 test on the 1st go at the 1st attempt and become an ADI today! I was struggling a lot and taking training / lessons with different organisations, but still couldn't become confident enough to pass. But everything changed after getting training from DITA. All the credit of my success go definitively to DITA, their driving instructor and trainee products are very easy to understand and they have simplified the complicated subjects. ...the replacement material arrived safely and is excellent. Really impressed with the quality of content, presentation and overall professionalism as they are ideal training aids that will well support me in my part 3 and later practice as an ADI. They've given me a boost and a lot of confidence and compliment my current training with my own ORDIT trainer. Just to let you know, I'm about to order the phase 2 Q&A from you guys, so it shows customer service is a must. Well done keep up the great work! I will continue to tell everyone about you, and I'm using your teaching aid book, and will continue using it on all my briefings. Just wanted to say a massive thank you. When starting my journey as a driving instructor I first signed up with another provider. They did not prepare me enough for what was coming. I purchased Dita's training materials online, was so impressed by them I decided to give DITA a ring, despite living 120 miles away. The training sessions were excellent...I have just passed my part 3 and it is with a massive thanks to Milan and Dita. Often new learners are praising me for my teaching methods, saying how easy it is to understand, not like their previous instructors. I love the simplicity and yet detailed briefings book for part three as well as your cds. I passed my ADI Part 3 first time and I genuinely felt you put the finishing touches to my learning enabling my result. I wish I had come to see you earlier when I came across the books you have published, I would have done this in half the time. I have successfully completed Adi part 2 and part 3 with Milan. He is professional and his advanced knowledge on the subject helped me to get through the exam without much challenge. His step by step guidance and the knowledge on the test routes are added advantage for the ADI trainees. I would recommend him to anyone who wants to pass driving instructor exam and also to be a perfect driver on the road. 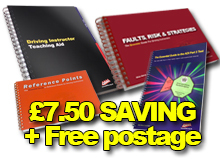 The Teaching Aid and Core Comp guidance books were very helpful for me to achieve my goal. Very prompt delivery and the guide to passing part 3 book has been a great purchase. I just wanted to let you know that I have just passed my ADI part 3 - Your training materials is superbbb.. The replacement CD has arrived this morning. Many thanks for your efficient service. 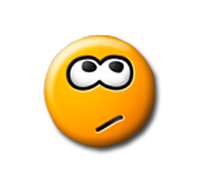 Your good customer relations are a credit to your organisation. Really appreciated. I just wanted to say i have received the core competencies book that I purchased from yourself. I am so glad I did, this is such a good book. The guide to passing ADI Part 3 includes all the most important information needs to be taken into account. Very good book for ADI PART 3 trainees. Everyone I show the DITA tuition presenter to thinks it's great. My instructor even bought one for his wife! And another PDI from Farnborough says they are going to buy it too. Just wanted to say thank you for the training books I bought a couple of months ago, and they are absolutely brilliant. I couldn't have done the training without it - ever so grateful. I just wanted to let you know that I have just passed my ADI part 3 at the first attempt! Your teaching aids have been invaluable to me over the last few (stressful) months, and I can now use them on a daily basis.... hooray !!! Sadly I didn't get a grade 6, but put that down to nerves on the day and a fierce SE!! Just to let you know my order came today and I am absolutely delighted. It is exactly what I am looking for and nice quality pages to. Thanks again for the quick despatch. Reference points from both seats and useful tips on how to teach them. Can be used by ADIs and also trainees - perfect for teaching and learning strategies. The new competency based Part 3 test taken apart and explained - marking sheet, 17 competencies, typical pupils, the examiner, what happens on the test. The ADI Standards Check is explained clearly; includes information on how to integrate the 17 required competencies into your driving lessons.